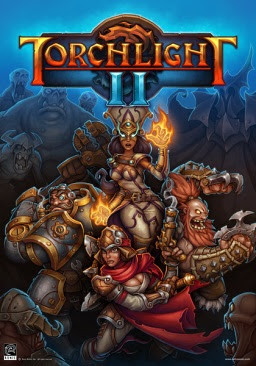 Last Thursday, Runic Games released Torchlight II - an action RPG that follows in the footsteps of Torchlight. As a big fan of Torchlight, I prepurchased Torchlight II months ago on Steam and then forgot about the game instead of checking everyday for the announced release date, which was my first impulse. But I could try and put it out of mind, ergo outside of the compulsive wondering zone, because Steam announces new releases loudly, so I knew that I would not miss the date. Not only did I not miss the date, but I finished the main quest line of the game two days ago. Restart the main quest line with your current character, including all the loot, armor, and upgrades that you collected the first time around. Go to Mapworks, a new place where you can purchase maps and then go exploring. The maps not only give you more areas to go, but most of the maps alter the game with special conditions. For example, on an easier map, you take 15% less damage. On a harder map, the enemies are 10% harder to kill. These options mean that the game continues on well after you finish the main quest, but it feels like regular gameplay. The game offers a mostly point-and-click interface, so you can use the mouse to do the majority of your movement and fighting. But the ability to use the keyboard to heal yourself, switch spells, and replenish your mana is fabulous. Your pet not only can sell off excess loot while you continue to explore, but now it can buy standard items, such as identify scrolls and healing potions. When your character goes behind the scenery, which only happens occasionally, your character and pet show up as blue wire frames while enemies show up as red wire frames. If you die, the game lets you choose where to resurrect. Actually, this should read "when you die" but I realize that there might exist someone who doesn't die during the game. Sadly, that person is not me. You can customize your character into four different classes, and each class had a unique set of skills. Replaying the game as a different character class gives a whole different feel to the gameplay. The game makers had a sense of humor, which shows up in the story lines for side quests. Did I mention the very cool, interesting loot? I am waiting on headsets so that I can play co-op with my kids properly (not yelling across the house). But the little bit of co-op I've done was also great - the guys at Runic Games understand gamers. Each person in a co-op games gets separate loot drops, so you can pick up everything that you see. So far, I haven't run into anything I don't like. Okay, they don't have a tutorial, which might be bad if I didn't play the original Torchlight. But they do prove tips during gameplay for beginners, as well as a "Casual" mode. Otherwise, I love this game! 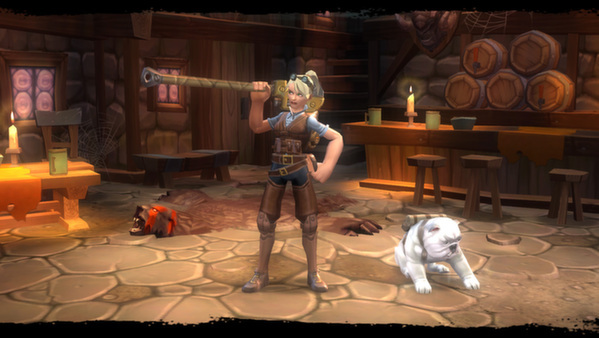 And I'm looking forward to playing more Torchlight II in the near future.